We welcome anyone who has an extreme desire to help people improve their lives and who meets our requirements. Students who enroll in a course and want to refer others to that course. 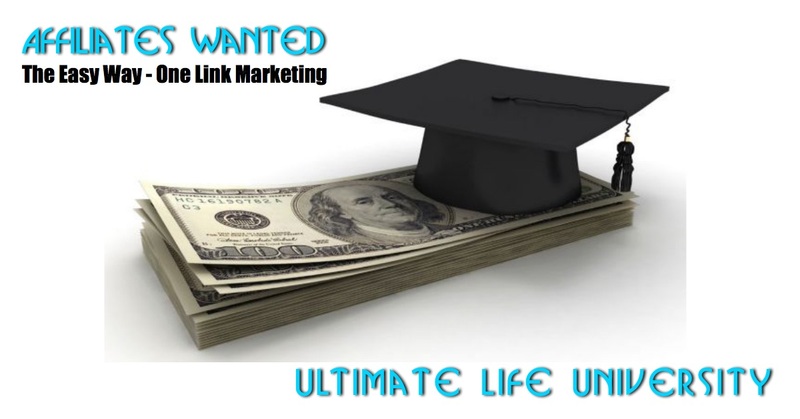 Students of a physical College or University - 30% Affiliate Commissions on all Courses. Enrolls in Ultimate Life University with at lease one course. We believe you shouldn't sell what you haven't used yourself. Has a extreme desire to make extra money helping people acquire their Ultimate Life in the Curriculum that has worked for the them. 2. Professional Affiliates - 20% to 60% Commissions on All Courses with requirements met. Pro's who really want to promote one course or all courses in their niche. Email List Required and Determines Commission on a course by course basis. We will work closely with all Pro's that are accepted. 1000 to 5000 people on your list: 30% Commission. 5000 to 15000 people on your list: 40% Commission.